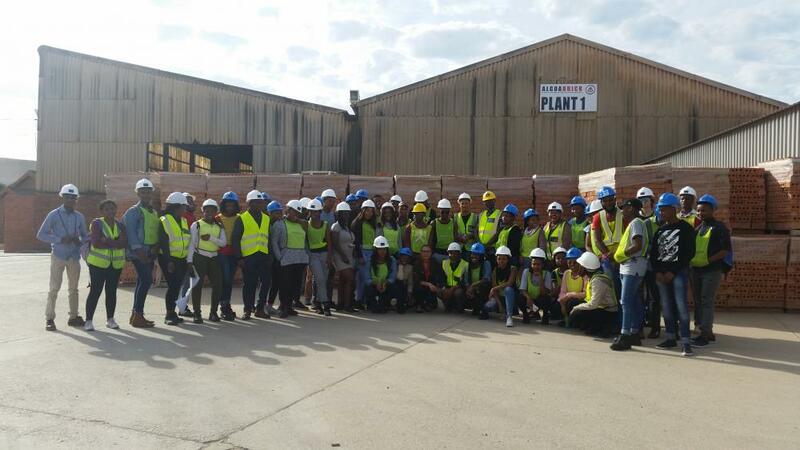 Algoa Brick is proud to host an annual tour of Construction Management students from the Nelson Mandela University to our facility. The team of students with their lecturers visit our facility regularly whereby they learn more of the production processes as well as the benefits of clay bricks. Algoa Brick is proud to be the biggest clay brick producer in the area and with that we carry both a huge social and environmental responsibility, which we take extremely serious. We will continue to enable further education of our young people and we are proud to be associated with all learning facilities in our area, so as to improve their decision-making skills in order to use the correct masonry products for across the spectrum life of the product, to achieve the best sustainability results.